New Band Alert: Audio Reign Packs A Blistering Punch With "Betrayal"
There’s an irrepressible spirit that is present in every decade of hard rock. Tenacious and uncompromising, it lives or dies on its ability to slay a live audience — boasting a lethal combination of razor-sharp musicianship and blisteringly catchy anthems. Every instrument is as big as it possibly could be, with a lead vocalist that is larger than life. From the very first listen to their debut album, it is abundantly clear that Adelaide four-piece Audio Reign is the embodiment of this spirit. Following on from their breakthrough single Find Your Way, Audio Reign’s first full-length album offers a proper taste of what they are capable of: a monster storm of huge, driving guitars, soaring melodic vocals and an unstoppable rhythm section. Recorded, mixed and mastered by Jarred Nettle, the album delivers a flurrying combination of writing, performance, and production – capturing epic hooks and supercharging them with the ferocity of the band’s live sound. From their heaviest song to their most ethereal, Audio Reign wield an immense level of energy. The album’s first single, Betrayal, is a hard rock tour de force. Hard-hitting and relentless, it sets a musical and lyrical tone that is abundant throughout the album: raw emotion and undiluted power. Vivisecting an act of treachery, the song casts a stark light on a shadowy deception, delivered by the unmistakable voice of frontman/guitarist Jake Fleming. Driving his vocals like a battering ram; the irreplaceable legion of Alek Dyrynda (lead guitar), Ash Lovett (bass) and Dieter Schoell (drums). Seasoned performers since forming in 2011, this lineup is adept and versatile – able to switch from high octane tracks like Betrayal to intense slow-burners like the emotionally-charged Senses. 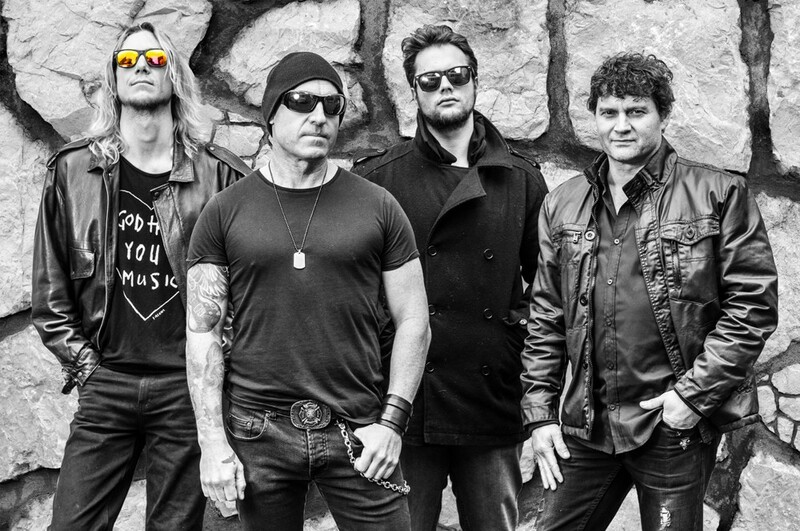 With an incredible live show, a loyal and growing fanbase, and a repertoire of their most electrifying material to date, there is so much potential coursing through Audio Reign that their future could very well be to preside at the top echelon of Australian rock. That journey, long and arduous as it may be, starts right here with one of the best hard rock debut albums of the year.